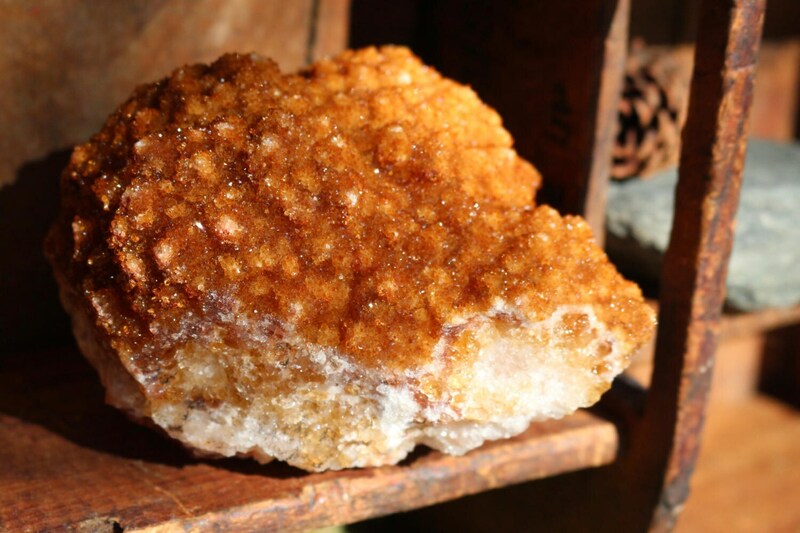 Citrine Pine Rosette ~ 2.25 lbs. 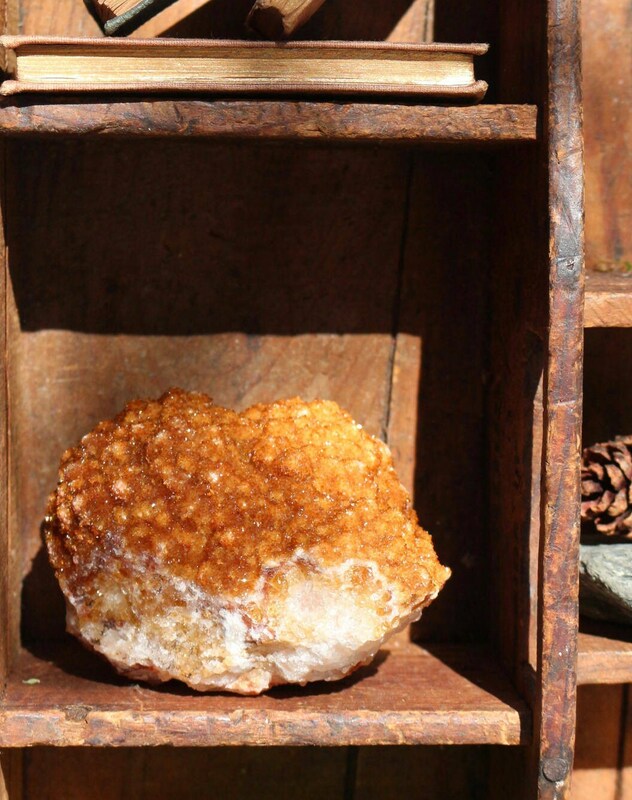 A very rare and desirable piece... a large, ovate Citrine Pine Rosette from Uruguay, with a slight resemblance of to a heart. 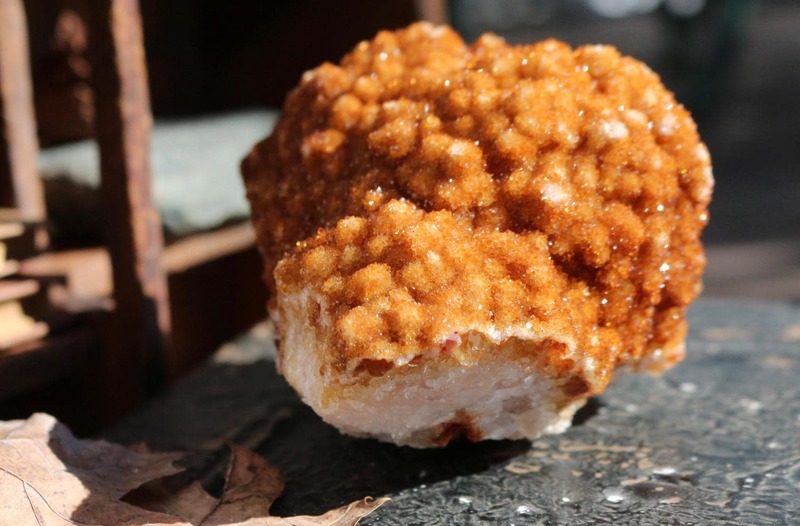 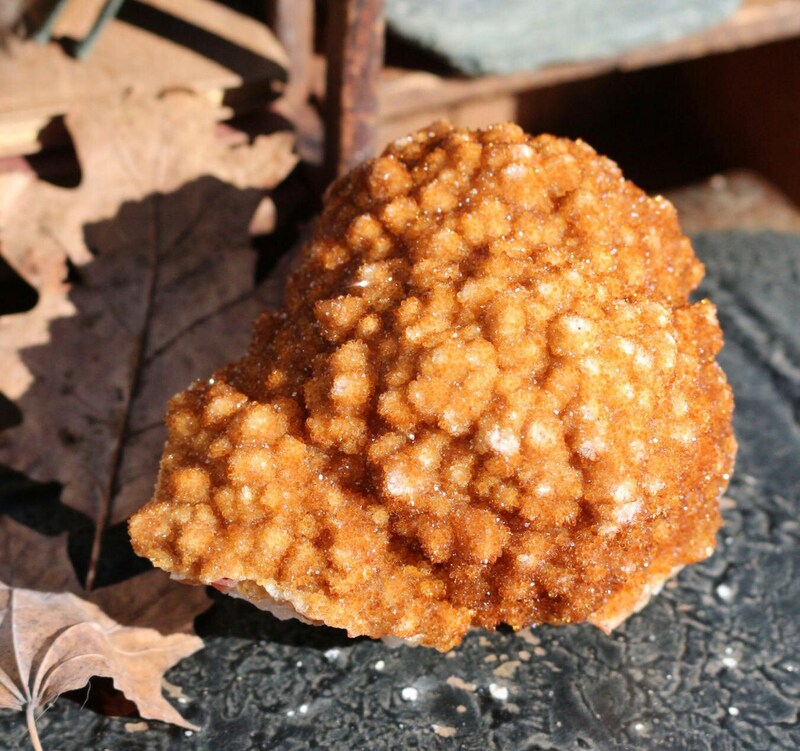 Covered in tiny, sparkly dark orange with a mixture of crystal white druzy on three sides. 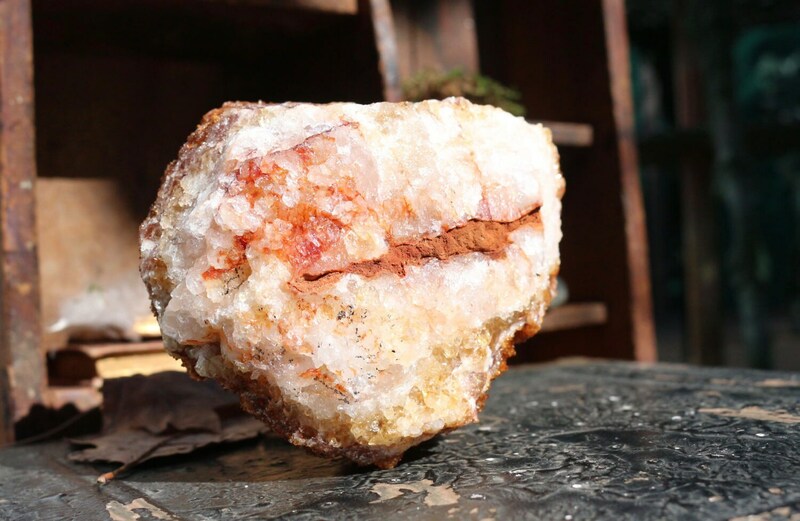 This piece is a collector's dream, as well as well suited for people who enjoy crystals!